In order to thrive we must all attract and retain “three dimensional” talent. At Coriolis, it is this talent that enables us to bring about transformation that is at the very least, sustainable. Our way of working ensures that we develop our clients “three dimensional” talent, leaving the team with more than proven methodology and techniques. Our approach to performance transformation addresses these three main areas, combining our knowledge and experience of the world’s best operating systems with internationally recognised improvement programs. We develop this knowledge and gain this experience internally but it is equally important to bring in “new blood” ensuring that new ways of thinking are adopted. It would be hypocritical of us not to practice what we preach. 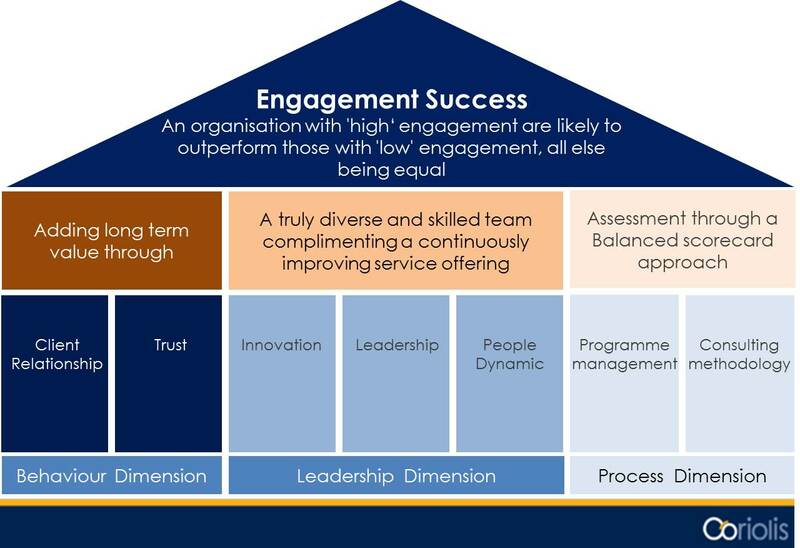 Engagement success is a combination of technical & tactical skills and is all about having the right “3 dimensional” team. Our continued growth has necessitated organisational change and in doing so we have appointed David Mead and James Hamilton to our senior team as Business Unit Directors. 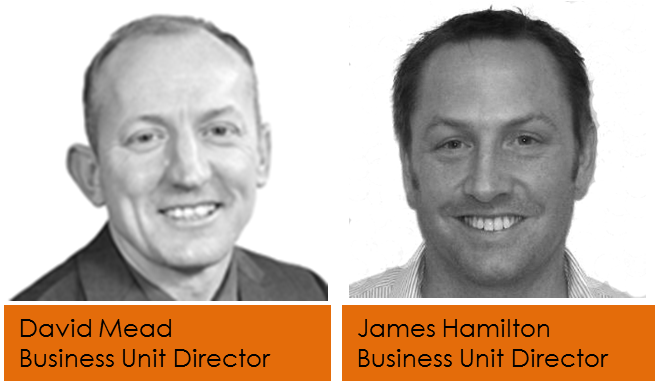 Both David and James bring a fantastic breadth of experience and expertise across a range of industries. The calibre of these individuals, their values and skill-sets will further strengthen Coriolis’ position as the consultancy of choice. Favourite Quote: “If God had wanted us to play football in the clouds, he would have put grass up there” – Brian Clough on keeping it simple. Significant capital projects for McBride & ESAB North America; site rationalisation, logistics supply chain review & implementation, product complexity analysis & equipment transfers throughout Europe & North America. Support for all areas of the Unipart Group business; Aerospace & Defence, Rail, Banking, Health, Supply Chain & Logistics, Insurance & Transactional consultancy. McBride plc capital investment project support in relation to group wide board “Project Refresh”, encompassing operational excellence, research & development, purchasing and finance. James Hamilton is a Chartered Engineer and Leader with an exceptional industrial and academic track record, including over 15 years of blue chip experience across Aerospace, Automotive and Resources. He has gained a First Class Master of Engineering and later Master of Electronic commerce with distinction, where his work on business modelling was published. He has experience of working across 4 continents with blue chip companies at board level but is as equally comfortable on the shop-floor. Head hunted for Rolls Royce (Aerospace), James took responsibility for developing and implementing the Rolls-Royce Production System; Rolls-Royce’s blue print approach for designing, operating and improving manufacturing & assembly plants, together with introducing new products and supply chains with attributed savings in excess of £30M. James held several positions within Rolls-Royce, finally in the position of Chief of Manufacturing Engineering before moving to a position in Business improvement with Rio Tinto in 2010.